I like the environment. Apartment is opposite terrace plant and we can see mountain view from here. We cant see sunrise but early morning you can see cloud on top of mountain. A refreshing view. Heater function well. Large balcony. Nice view to walk around the resort. very spacious.. big balcony to enjoy the view.. good location.. easy access to parking..
Have strategic location, nice view and environment. environment and comfortable is the best... very2 recommended.. The location. The room got TV with Astro. Parking. Shower with bathtub and water heater. The view and the surrounding...peaceful without any sound from vehicles pass through..
We had a big apartment with living room, kitchen and a big balcony overlooking a valley with vegetable farms. Parking was in a private covered car park. 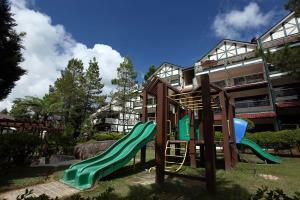 Located in Cameron Highlands, Natasya Resort offers relaxing stays surrounded by lush greenery. 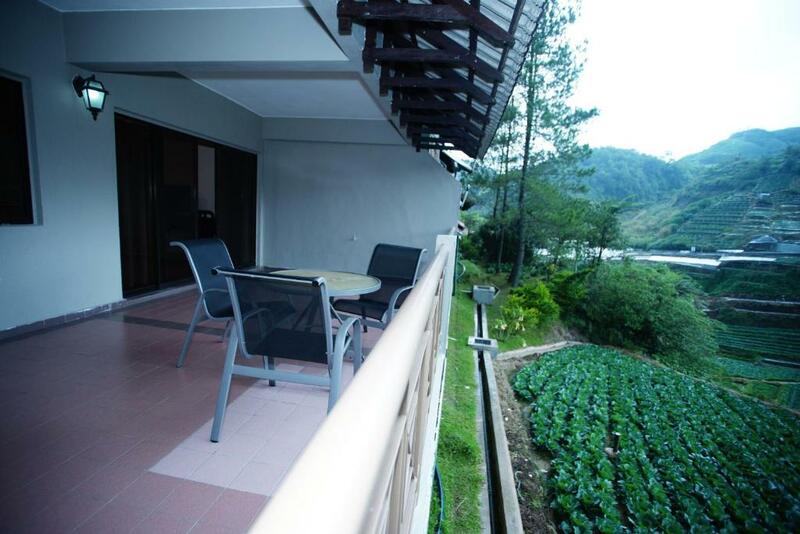 It features apartments with balcony overlooking the mountain and garden. Free WIFi and free parking are provided. All units are spaciously furnished with a kitchenette and a dining area. The seating area is fitted with a TV. The private bathroom includes a shower and free toiletries. A few dining options are located within a few minutes' walk from the resort. Adults can play billiards or table tennis, while the kids can enjoy their time at the playground. Laundry service and valet parking can be made at the reception. Kea Farm Market is a 1,350 feet walk from Natasya Resort. Boh Plantations is 2.5 mi from the resort, while Cactus Valley is 2.9 mi away. Sultan Azlan Shah Airport is a 50 mi drive. When would you like to stay at Natasya Resort? This spacious apartment features a kitchenette and a seating area. Guests enjoy mountain view from the private balcony. 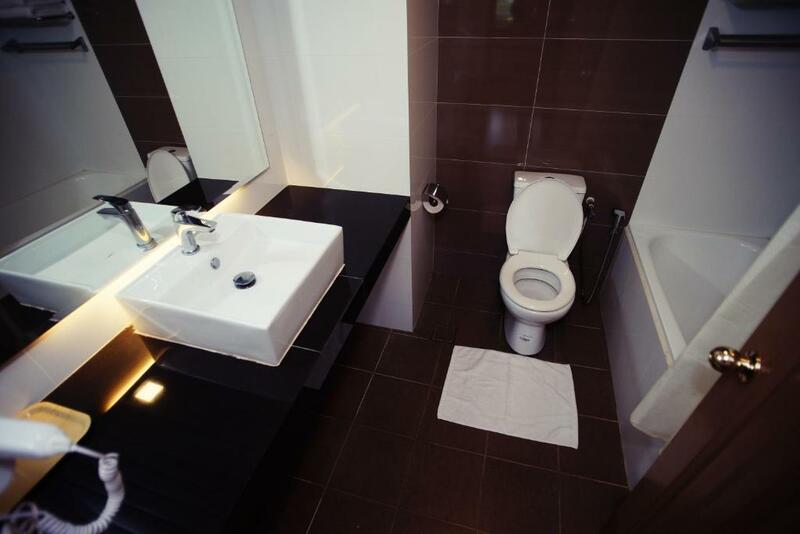 The private bathroom comes with a hairdryer and shower facilities. This apartment is fitted with a private balcony overlooking the mountain. The seating area is equipped with a TV. A kitchenette is also available. A hairdryer and shower facilities are provided in the private bathroom. 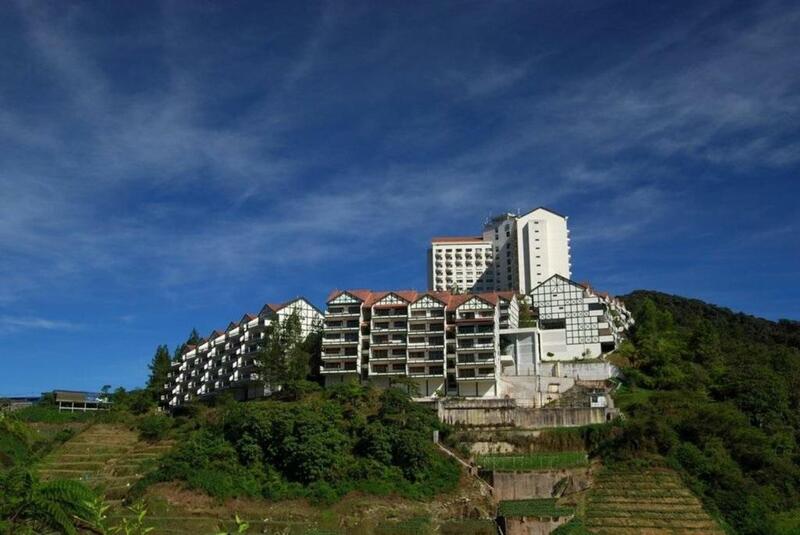 Natasya Resort (Cameron Highland) Sdn Bhd through its wholly owned subsidiary, Perwanza Properties Sdn Bhd, owns and operates the naturally themed Natasya Resort Cameron Highlands (NRCH), a resort facility in Brinchang, Cameron Highlands. The NRCH perched at 1,628 meters above sea level, surrounded by majestic mountains and gentle undulating valleys, NRCH is the only resort situated at the highest accessible point of highlands. Spread over 13 acres, the Tudor styled resort offers 34 attractive, self-contained low rise apartment suites. that offer breathtaking views of the highland landscapes. House Rules Natasya Resort takes special requests – add in the next step! Natasya Resort accepts these cards and reserves the right to temporarily hold an amount prior to arrival. Please inform Natasya Resort of your expected arrival time in advance. You can use the Special Requests box when booking, or contact the property directly using the contact details in your confirmation. Balcony offered unattractive view of mostly greenhouses and real estate development projects, with forested hills forced to the background. Apartment is in state of disrepair, only superficially cleaned, badly ventilated, with mold, cobwebs, smears and stains in every corner and on every surface. Dark, broken furniture, tilting beds, open electrical wall outlets, drainage clogged by dust in the tiny bathroom, with a pervasive smell covered by generous spraying of cheap chemical 'air freshener', that would not clear even after hours of having all windows and doors wide open. Service is minimal at best: found myself locked out because the keycard was mysteriously invalidated, got invalid wifi credentials, had to specifically request the advertised microwave, and so forth. The few 'attractions' in the vicinity are mostly shops; walking along green tea plantations is not on the menu, these seem to appear only in older photos. Checking out and leaving was an uplifting experience. Overall l don’t like the enviroment and the room conditions are really bad and very dirty and smelly. The water heater very slow to heat up , the double bed spring poking up , blood stain and dirty, the couch very smelly and have bedmites . The cool air and spacious . The beddings was stained!! Maybe from previous use?? Stopper for drainage water in bath tub is missing. Shower heater only works for a short period of time. Wifi have connection problems. Clean. Friendly staffs. Walking distance to Kea market. Comfy.. good services.. will come again..
comfortable, beautiful scenery, strategic location, and providing goods as needed.